Vintage showed its trump card in this year’s wine releases, influencing key shifts in the makeup of the 2014 Top 100 list, which includes wines from 14 foreign countries and three U.S. states. California, France and Italy play major roles as in years past, but with an atypical mix of grape varieties and regions. Meanwhile, some countries saw big upticks in their numbers on the list, due to magnificent vintages and continued improvements in the vineyards and wineries. Our editors found dozens of thought-provoking wines among the 18,000 we tasted in 2014. Whether from emerging labels and regions or historic estates upholding tradition, these wines turned our heads for a singularity and authenticity we call the X-factor. Our selection also prioritizes quality (based on score), value (based on price) and availability (based on the volume of cases either made or imported). These criteria were applied to determine the Top 100 from among the more than 5,400 wines that rated outstanding (90 points or higher on Wine Spectator’s 100-point scale) this year. Overall, the average score of the wines in this year’s list is 93 points and the average price $47—an excellent quality/price ratio and a slightly lower average price than the 2013 list. Many wines on the list are made in limited quantities, a reflection of the greater wine world. As such, our Top 100 is not a “shopping list,” but rather a guide to wineries to watch in the coming months and years, comprising the producers and wines our editors were particularly passionate about in 2014. 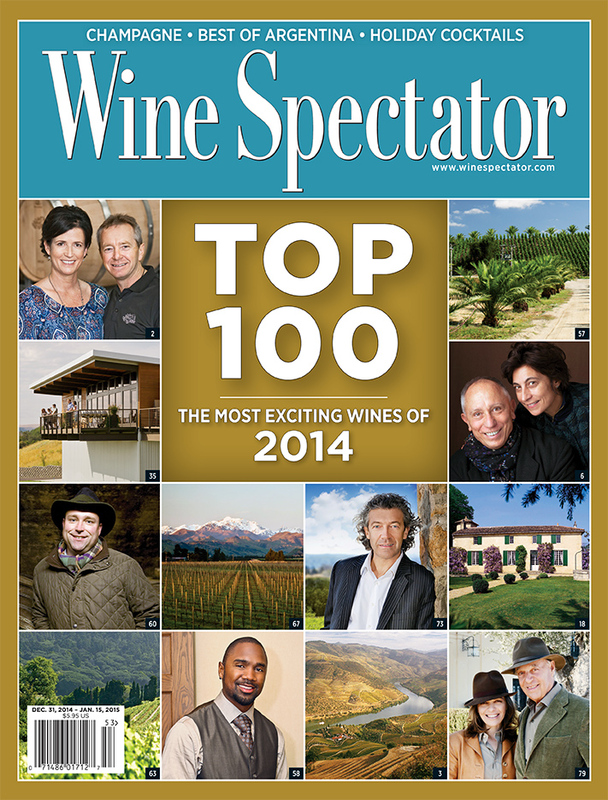 We hope you enjoy this exciting list of great values, rising stars and veteran producers that make up Wine Spectator’s Top 100 of 2014.